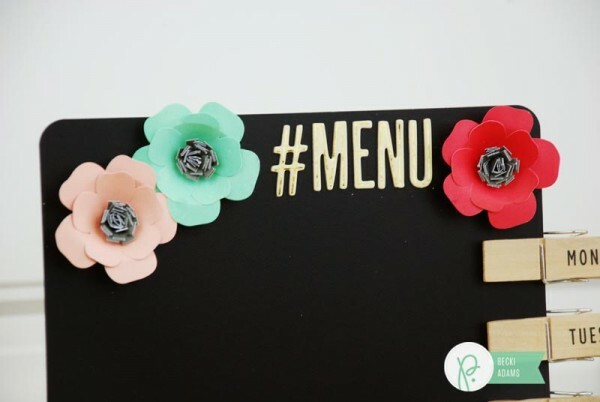 Easy Menu Chalkboard - Pebbles, Inc.
Hi there, it’s Becki, here to share with you the easiest gift idea that you’ll ever make. 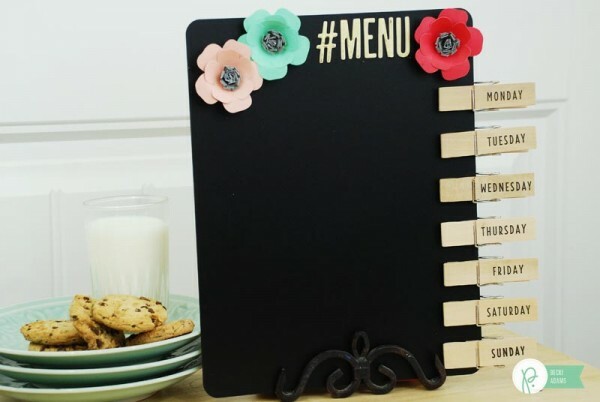 I created this easy menu chalkboard in about 15 minutes using only 4 products. It’s seriously so easy! 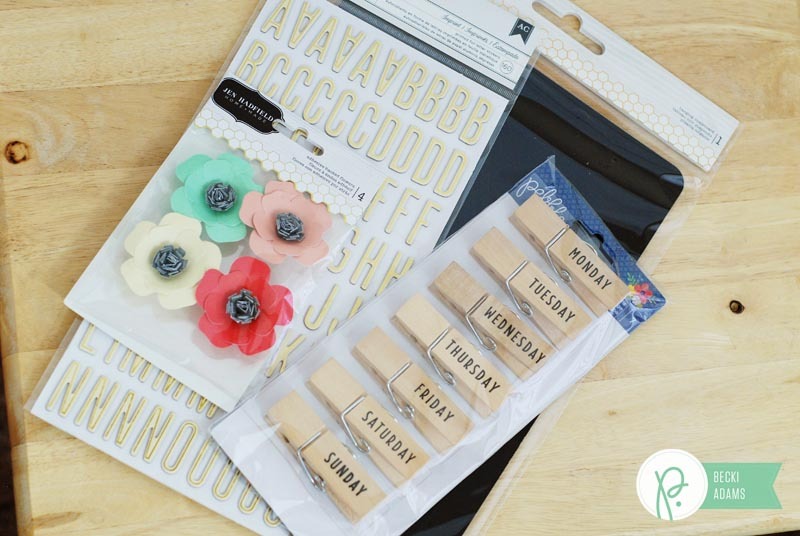 The Cottage Living collection has so many great elements it makes putting together a great gift so easy. 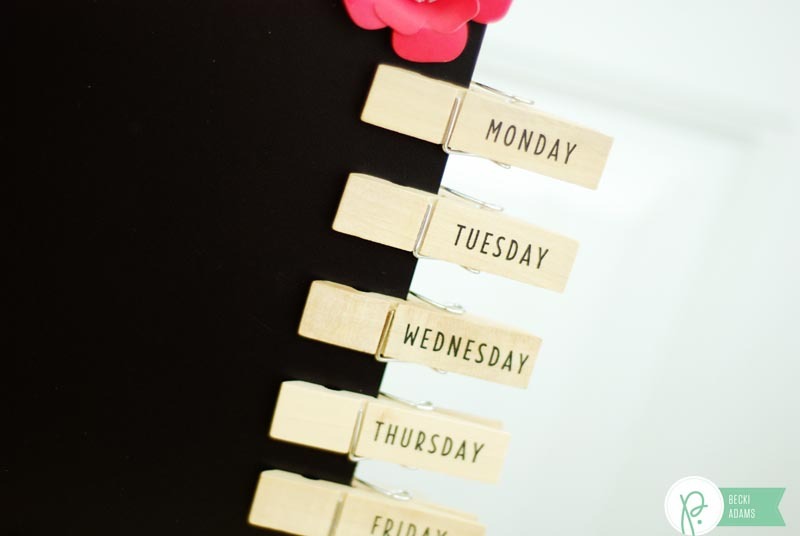 And by adding the days of the week clothes pins from the home grown collection things became even easier. I grabbed all the stickers and the package of clothespins and got to work. 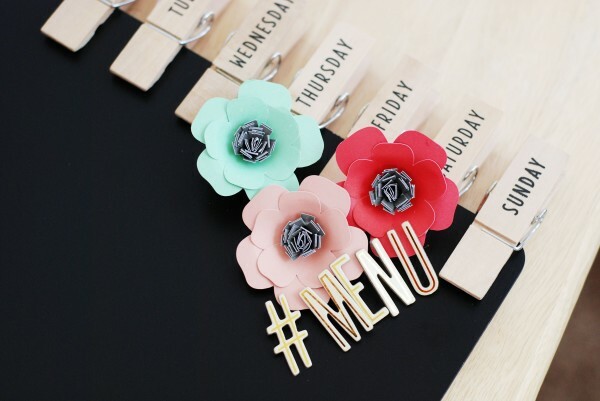 Yes, this is all you need, no glue necessary. I started by adding the clothespins down the right side of the chalkboard. Then I added the Thickers and flowers to the top of the board. That’s it, all done! I told you it was easy. Thanks for hanging out with us on the Pebbles blog today.